Do you have any plants with leaves that look like this? 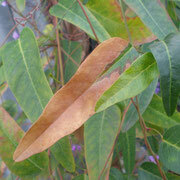 Gardening in inland Southern California, you probably do, or have in the past. 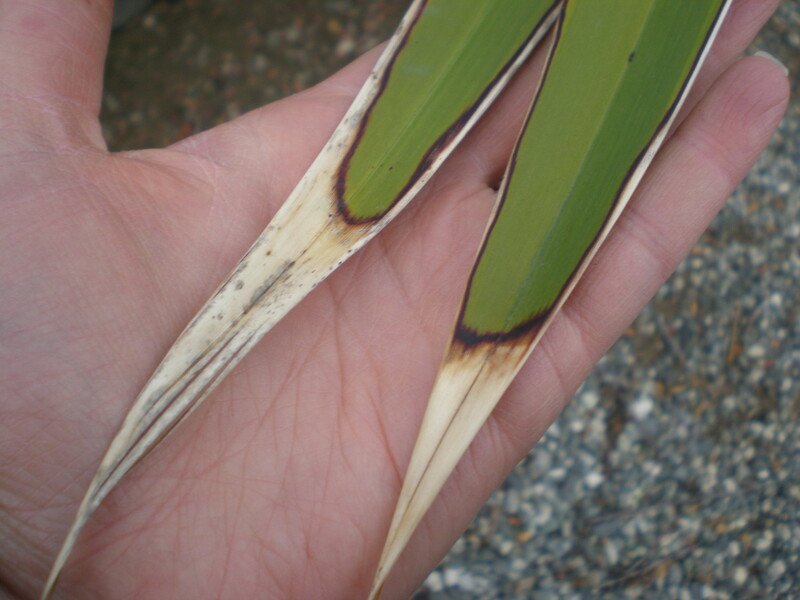 This is salt burn, and it occurs when the minerals in water deposit in the soil around the roots of the plant. The minerals, or salts, cause the plant not to be able to absorb water properly, resulting in yellowed leaves and less vigorous growth. 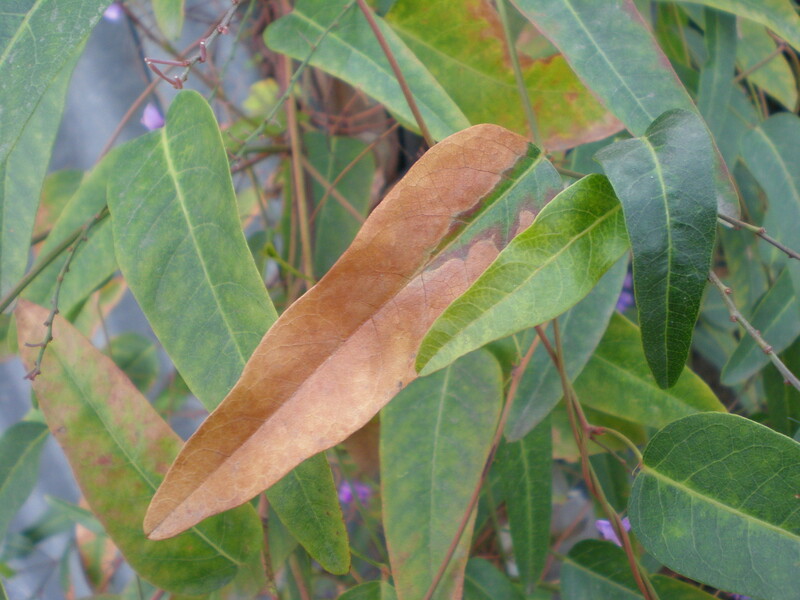 When a lot of salt accumulates, the edges of the leaves will begin to die. 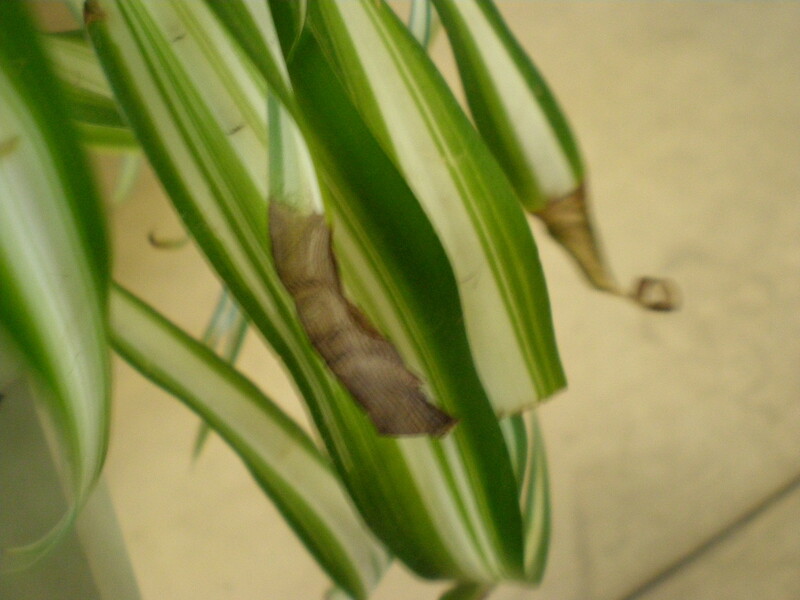 This condition is very common with potted plants, but can also occur in the yard in areas where a lot of surface water is applied. 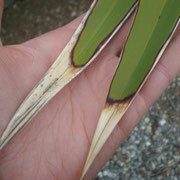 When watering with sprinklers, you are much more likely to see salt burn on plants than if you water with drip systems. This is why it's important to only water shallow-rooted plants (such as lawns, low groundcovers, and small flowers) with sprinklers. If you have salt burn on a potted outdoor plant or houseplant, I would suggest watering it through heavily to flush some of the built up salts out. It might be a good idea to re-pot the plant with fresh soil if the case is particularly bad or the plant is root bound. Then apply some granular gypsum, about 1-2 tbsp. depending on how big your pot is. 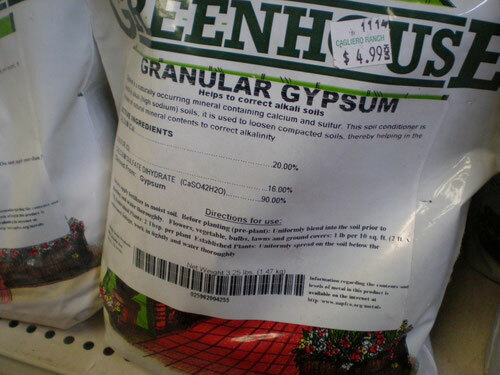 Gypsum helps to flush out the built up minerals and adjusts the pH of the soil. Water the plant once more to allow the gypsum to begin breaking down. Re-apply gypsum once every 6 months to help prevent salt burn. 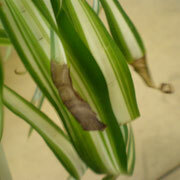 If you have salt burn on plants in the ground, first check your irrigation. Make sure the ground around the plant isn't wet all the time on the surface. This could be a sign you're giving too much surface water, which will contribute to salt burn. I would suggest watering your larger trees and shrubs for a longer period of time but less often than lawns or small flowers. For example, in summer most shrubs require a good soak about 3 times per week for about 40 minutes. The frequency of watering can be reduced at cooler times of the year. To clear up the salt burn, irrigate the plant heavily to wash some of the salts away. Then, apply gypsum where you water at. Granular or powdered gypsum will work. Follow the instructions on the bag for how much to apply. 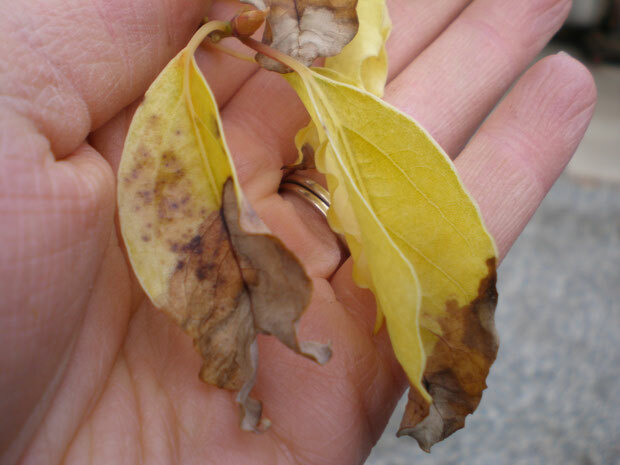 Keep in mind that it can take a few months to start to see a difference in the new leaves on the plant. Reapply gypsum 3 times a year on plants in the ground. While your plant is suffering from salt burn, avoid using any fertilizers because they can potentially burn your plant while it's in a weakened state. Many fertilizers also contain salts, which can make your salt burn worse. Also steer clear of bagged manure, which can also contain a lot of salts. A good compost, like Bumper Crop that we sell here at the nursery, can be added around the base of the plant to provide some enrichment to the soil without the risk of burning.